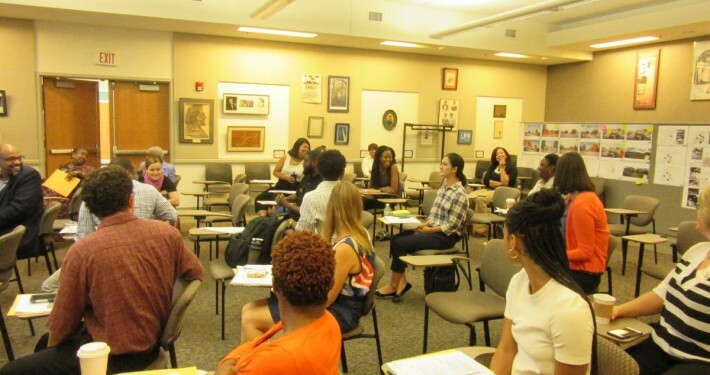 Rise hosted a group training session on August 12, 2016, on the subject of Health Equity and Community Development. 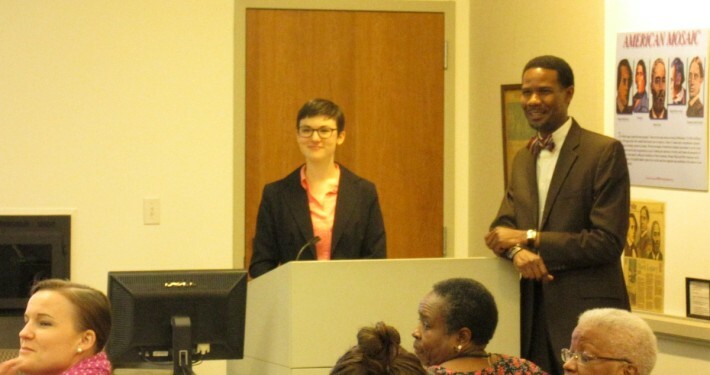 The training was held in the Telecommunity Room on the campus of Harris-Stowe State University from 9:30 AM to 12:00 PM. 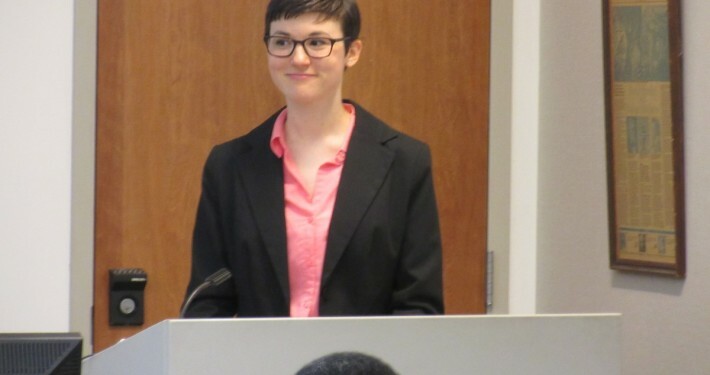 The session was led by Rising Stars Program Intern, Jenny Connelly-Bowen and Technical Assitance Project Manager, Brian Hurd. The focus of the training was to learn about collaboration to improve wellness and safety in our communities. The training connected local health care experts and community development practitioners to discuss local health and safety needs, learn from health initiative success stories, and workshop strategies for promoting health and well-being in the communities they serve. 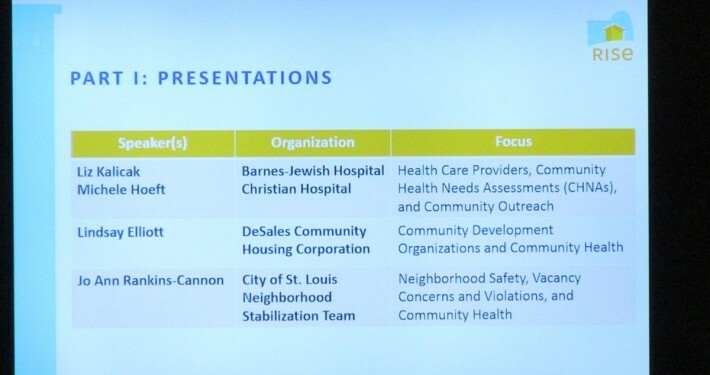 Featured presenters were Michele Hoeft from Christian Hospital speaking on Health Care Providers, Community Health Needs Assessments and Community Outreach, Lindsay Elliott from DeSales Community Housing Corporation speaking on Community Development Organizations and Community Health, and Jo Ann Rankins-Cannon from the City of St. Louis Neighborhood Stabilization Team speaking on Neighborhood Safety, Vacancy Concerns and Violations, and Community Health. There was also a panel discussion featuring Melissa Ramel from the St. Louis City Health Department and SLU, Richelle Clark from Washington University in St. Louis Institute for Public Health – Center for Community Health Partnership and Research, Paul Sorenson from Grace Hill Settlement House, and Melissa Logsdon from Missouri Foundation for Health. Featured Rise Up Attractions: Round 14 Take the 2016 Rise Up Festival Survey!